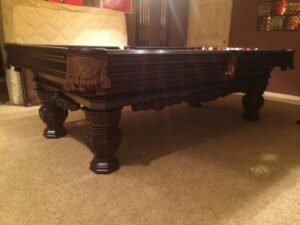 This 1939 Brunswick Paramount billiard table is certainly one of a kind, setting a brand new trend in both design and construction for its time. Donald Deskey, one of America’s most famous and diverse designers who also co-pioneered the Art Deco style, designed for Brunswick during the late 30’s. Through streamlining, modernizing, and the use of minimalist and geometric design, Deskey aimed to create a more “family friendly” atmosphere in billiard halls and bowling alleys, and as a result, the Paramount was born. 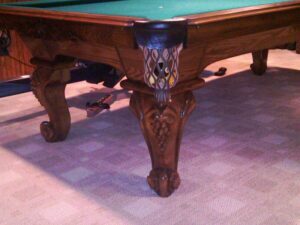 It is truly a piece of billiard history, and has been heralded as one of the most beautiful Brunswick billiard tables in existence! 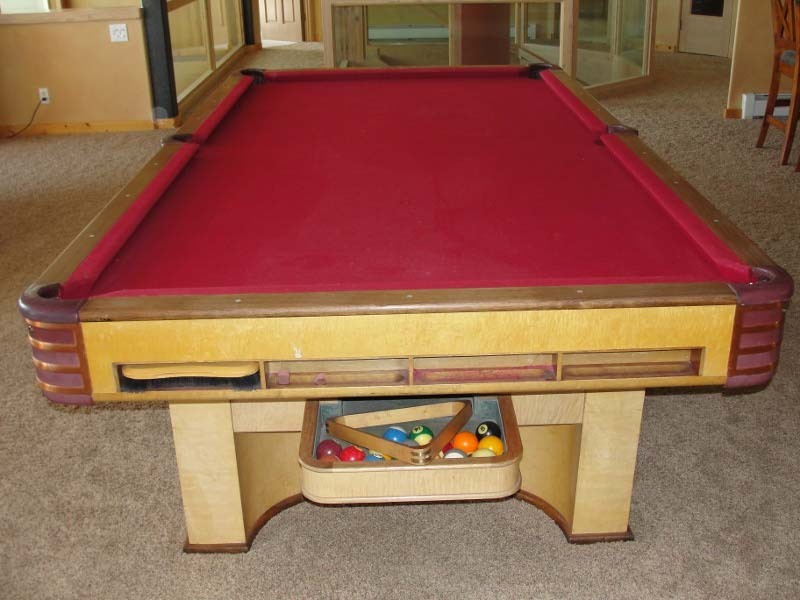 But don’t let the sleek style and modern design fool you – this jumbo construction pool table is also extremely rigid and sturdy, and will last for years and years to come. This massive billiard table rests on two inversely curved pedestal legs with cross stretchers for maximum strength and stability. Copper plated pockets, Rosewood rail caps, and veneered in figured curly Maple that is hand rubbed to a smooth finish make the Paramount an exquisite addition to your gameroom. 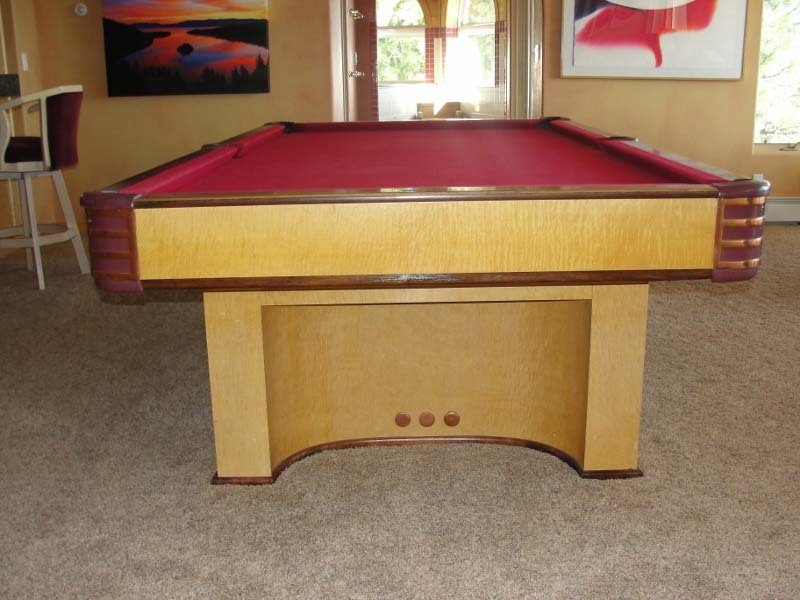 This Brunswick Paramount billiard table also features a built-in recessed ball rack, which holds 16 regulation sized pocket balls and is flush with the rail apron. 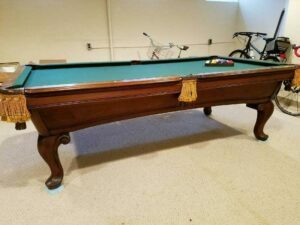 Having only been in production for ONE year, the 1939 Brunswick Paramount billiard table is very limited and ultra rare! 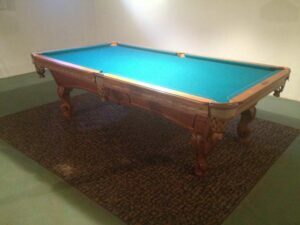 Now is your chance to own a piece of billiard history that will only increase in value over time. 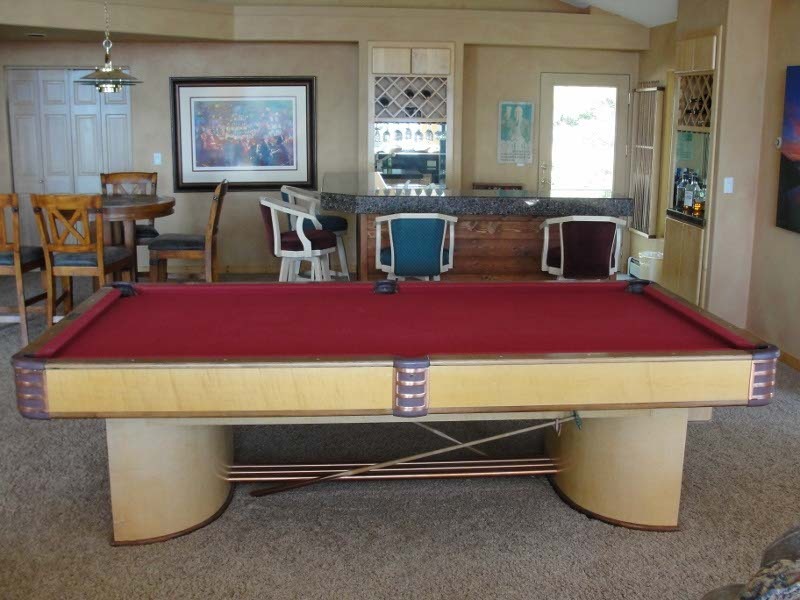 Call us today for more information on this fantastic pool table!